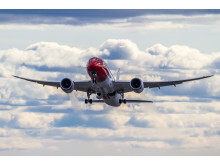 Norwegian is introducing its newest single-aisle aircraft at London Gatwick this summer to service selected short-haul flights to Europe. Norwegian will offer a free long-haul ticket and Premium upgrade next year to its most frequent flyers in 2018. The carrier is also offering discounted fares to consumers on select Florida routes from London Gatwick. Norwegian CEO Bjørn Kjos receives Ambassador’s Award for strengthening bilateral relations between Norway and the U.S.
Today Norwegian’s CEO Bjørn Kjos was awarded the 2018 Ambassador’s Award by Kenneth J. Braithwaite, the United States Ambassador to Norway, for significantly contributing to building U.S.-Norway relations and growing the countries’ economies. 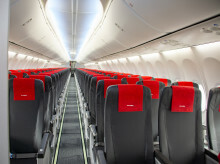 Norwegian has taken delivery of its first Boeing 737 MAX aircraft with an upgraded cabin of new slimline seats that are specifically designed for more comfort on longer routes and will give taller passengers more personal space. Norwegian will release the second quarter results on Thursday 12 July 2018. The report will be made available at 7:00 AM (CET) at norwegian.com and newsweb.no. Norwegian mark’s Father’s Day by operating a Boeing 787 Dreamliner flight from London to New York by a Captain and his co-pilot son. 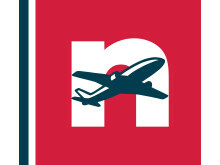 Norwegian today launches a brand-new feature on its website that allows customers to find their next destination based on their preferred temperature – a first by a low-cost airline in the UK. 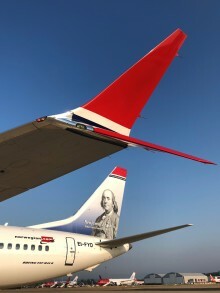 The Board of Norwegian Air Shuttle (NAS) confirms that it has received two separate conditional proposals from IAG Group in relation to an acquisition of 100% of the share capital of NAS.